The dining room is one of the most fun rooms in the house to decorate because it’s a space that can have its own personality. Often, dining rooms are separate from the rest of the home so you can give them a unique identity. Even if they are in an open floor plan, there are ways to give it some character that will set it apart. It’s also a lot of fun to make this space special because it’s where you will do a lot of your entertaining. When you can invite guests into a space that delights them before they even get to the food, it’s a great way to enhance the overall experience. 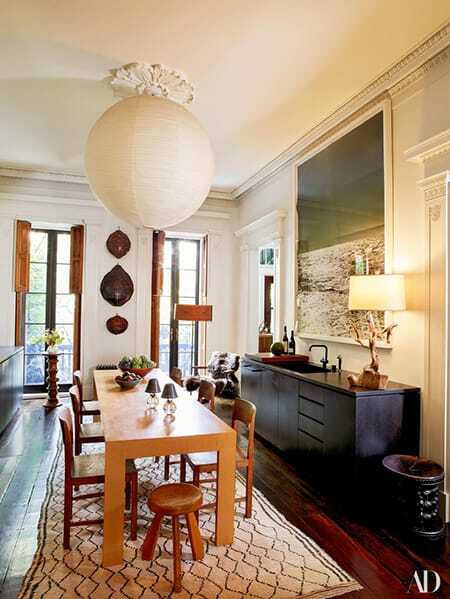 Celebrities have some of the most enviable homes in the world. So, where better to look for some unique inspiration? Here are 10 celebrity dining rooms to give you some great ideas. How cool is that globe light fixture? This room is full of interesting shapes, patterns, and textures. A fireplace and beautiful molding make this dining room extra cozy, while the colorful chandelier brings a surprising modern element. 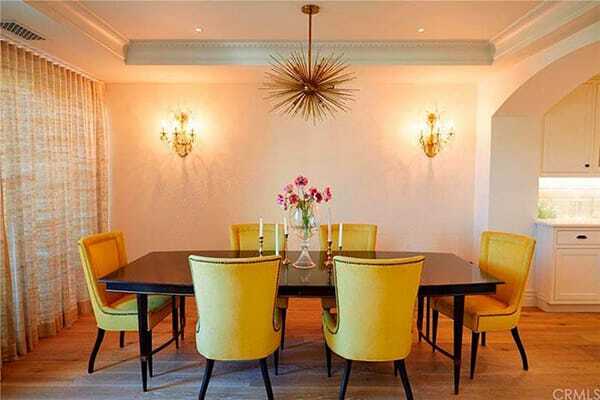 Yellow chairs are cheerful and retro, pairing great with the midcentury modern chandelier. Black walls may seem daring for a dining room but they create an intriguing balance with the rustic elements in this space. 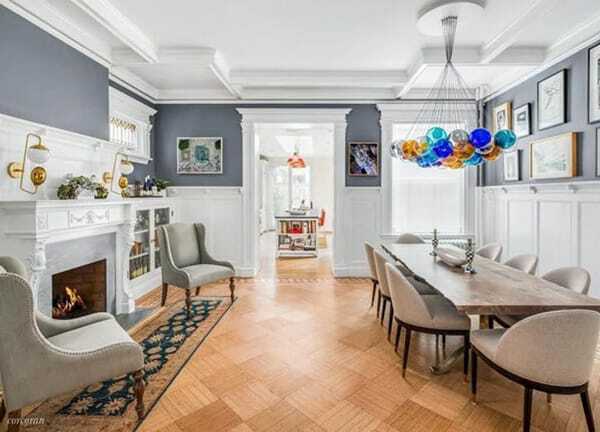 How can you not feel happy in this dining room? Love the bold, colorful chairs and star-shaped chandeliers. Nature was clearly the driving force behind the design of this dining room. It’s a beautiful, modern interpretation of the outdoors. There is a lot going on in this dining room. It’s an explosion of fashion and fun! The rustic wood crown molding adds a lot of character to this otherwise elegant dining room. 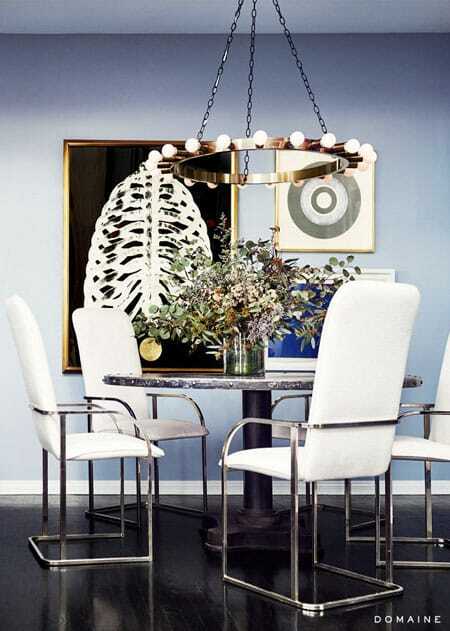 Mixed metals contrast nicely with the blue walls and white accents. Love a modern space? 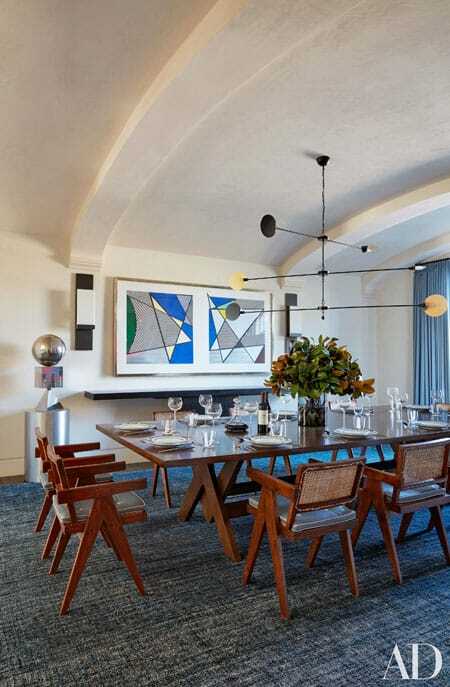 This dining room mixes interesting shapes and modern lines.